In 1943, the Russian SU-76 self-propelled gun was no longer effective to battle the new German tanks. 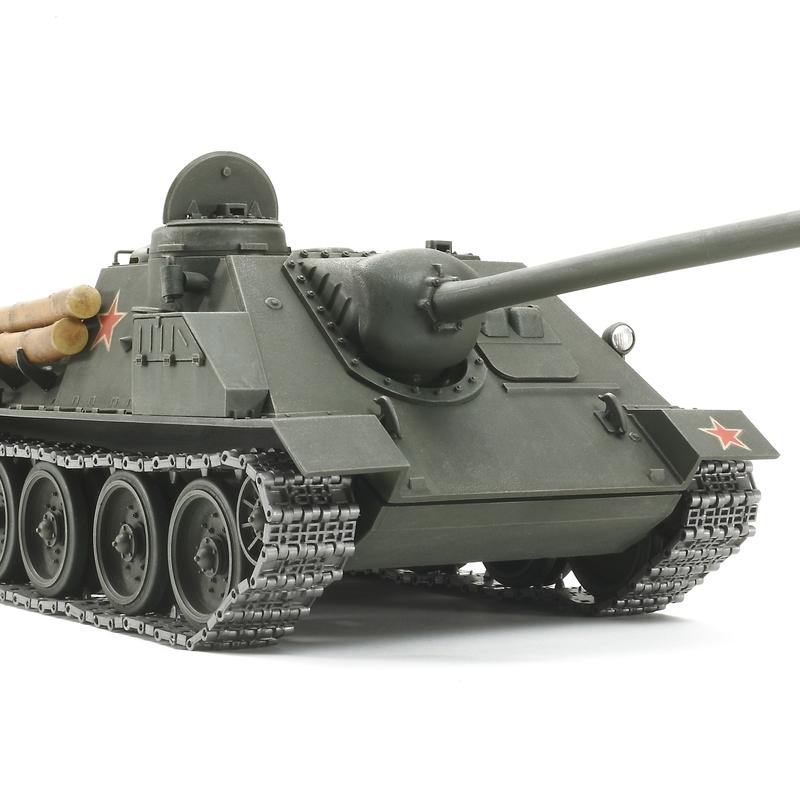 During the end of 1943, the SU-85 was developed to replace the SU-76 self-propelled gun. 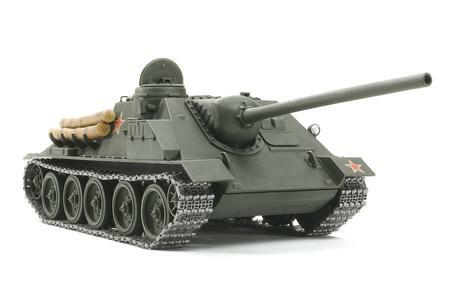 The SY-85 was based off of the T-34 hull and armed with an 85mm gun. However, due to the thickness of the armor, demand grew for a more powerful tank. The SU-85 was modified in 1944. It was outfitted with a 100mm gun and renamed the SU-100. The 100mm did not have the same piercing power as the German 75mm or British 17pdr guns, but it was heavier than the 75mm and allowed the Russian army to easily destroy the German tanks. The turret-less design also was an advantage because labor and construction costs were 20% less. In contrast, the turret-less design left the SU-100 weak in narrow or sloped terrain. As a result, the SU-100 was used as fire support for infantry and anti-tank combat. The SU-100 remained in service until the 1970s. Special Feature 1 New parts to depict wooden logs have been especially included for this re-release. Special Feature 2 Moveable torsion bar suspension features same construction as seen on the actual tank. Special Feature 3 Each hatch can be open and closed. Special Feature 4 Realistic link-type assembly tracks included. Special Feature 5 Limited edition kit.